The notion of solidarity is pivotal for Social Gospel theologian Walter Rauschenbusch. 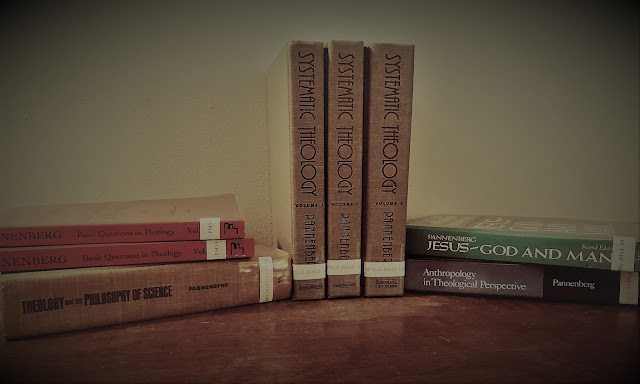 He strives diligently to articulate a "solidaristic" reinterpretation of the classic loci of Christian theology as a corrective (or replacement? It's debatable, I think) of a mainstream theological tradition he deemed too solipsistic and otherworldly for a modern age -- too focused, that is, on the salvation of individual human souls in some putative afterlife to the detriment of a concrete soci-political praxis of transformation in the here-and-now. Rauschenbusch's 1907 text deals explicitly with the socio-economic upheaval and carnage wrought by the Industrial Revolution, and he seeks to retool historic, prophetic Christianity to meet the practical demands of this crisis. His late work, A Theology for the Social Gospel (1917), attempts to trace the implications of the emergent social Christianity for the reconstruction of Christian theology. Rauschenbusch's Theology begins with an homage to the old-school theology of his friend and Rochester Seminary colleague Augustus Strong. The Social Gospel thinker even claims to have garnered significant lessons from Protestant orthodoxy. (Keep in mind that Rauschenbusch grew up in a pietist German-Lutheran household.) It's a curious dance: I wonder if he doesn't really personally believe too much of it but is, rather, trying to be charitable and politic. 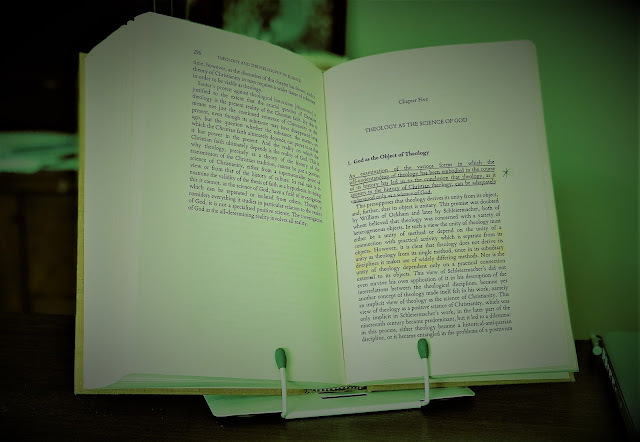 As I read through the later chapters of the book -- whether the topic is the doctrine of God, Christology, ecclesiology or eschatology -- it becomes clear that no major theological stone is to remain unturned. Like other followers of Albrecht Ritschl, Rauschenbusch eschews metaphysical "speculation" as a distraction from the proper work of theology: forging a discourse that empowers believer to begin building the Kingdom of God on earth, a progressive yet always asymptotic process. My first read-through of Rauschebusch's chapters on sin and evil yield up some expected sources of his solidaristic doctrine: Kant's interpretation of the Kingdom of God as ethical commonwealth and Schleiermacher's notion of original sin as a defect in piety mediated through socio-cultural processes, both of which are filtered through Ritschl's synthesis. In Rauschenbusch's telling, the essence of sin is selfishness, mediated from individuals -- through a sinfulness that is hereditary in some unspecified way -- into the corrupt social institutions they construct. This liberal modernist trajectory takes a more radical turn in his embrace of a sociological perspective and an activist's commitment to a more just and equitable socio-economic order. There are in the human world two profoundly different grades, or levels, of mental beings, -- namely, the beings that we usually call human individuals, and the beings that we call communities. 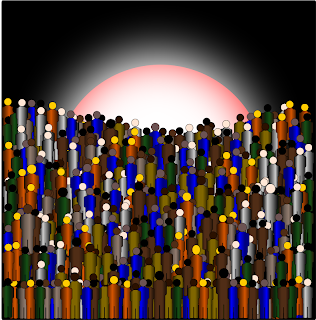 -- Any highly organized community is as truly a human being as you and I are individually human. Only a community is not what we usually call and individual human being because its mind, if you attribute to it any one mind, is therefore not manifested through the expressive movements of such a single separate human organism. Yet there are reasons for attributing to a community a mind of its own. -- The communities are vastly more complex, and, in many ways, are also immeasurably more potent and enduring than are the individuals. Their mental life possesses, as [German philosopher Wilhelm] Wundt has pointed out, a psychology of its own, which can be systematically studied. Their mental existence is no mere creation of abstract thinking or of metaphor; and is no more a topic for mystical insight, or for phantastic speculation, than is the mental existence of an individual man (71). The individual is saved, if at all, by membership in a community which has salvation. When a man becomes loyal to a community, he identifies himself with its life; he appropriates its past history and memories, its experiences and hopes, and absorbs its spirit and faith. This is the power which can lift him above his own level (126-127). To be sure, one might imagine the Schleiermacher of The Christian Faith penning such lines; still, Royce as an absolute idealist goes farther than the father of modern theology in construing the community as constitutive not only of religious experience but of knowledge and being itself. Royce, I am learning, tempers his idealist orientation with critiques from the early pragmatists (e.g., C.S. Peirce) and develops a sophisticated account of the "Community of Interpretation" as constitutive of knowledge and reality itself, as the ultimate existing entity is an absolute, super-personal being that encompasses all finite reality. Consequently, he is critical of the "heroic individualism" animating the ethics of Emerson, Nietzsche and James -- particularly in the religious phenomenology of The Varieties of Religious Experience. From his earliest writings onward, Royce engages the philosophy of religion as central to his intellectual vision, and this includes extensive treatments of the foundations and expressions of Christian experience (Parker). I don't want to make too much of Rauschenbusch's appropriations of Royce. The Baptist theologian also articulated criticisms of the Cambridge philosopher's account of religion, and I'm not proposing Royce's work, necessarily, is an overriding factor for social gospel theology. This is an exploratory blog post, not a journal article. What I do find striking in this material, though, is this confluence of various streams of late 19th and early 20th century thought into a new paradigm that reconstructs and reintegrates Christian thought and experience around critical social awareness and engaged commitment -- a paradigm, I'm finding, is very much alive still today. philosopher of the Social Gospel? So there you have it. In Rauschenbusch, decades before liberation theology and the works of Wink and Stringfellow, we find an early gesture toward a theology of the principalities and powers that draws from the wells of bourgeois-liberal Protestant theology -- less muddy and silty a century ago, perhaps, than they seem today -- which has expanded and (at least somewhat) radicalized by a turn to praxis seeped in the emergent modern disciplines of social thought. To cap off these developments, an almost prophetic insight into how community is constitutive of human experience, drawn from the idealist communitarian philosophy of Royce, a thinker steeped in German post-Kantian thought (the very intellectual tradition, ironically, that is often held to offer the quintessential expressions of subjective individualism). The crucial issue here is this emergent awareness that social realities have an integrity -- and a deformity -- that have a life of their own, a reality that can be simply reduced to the actions and intentions of individuals. The super-personal forces of individual selfishness ramify collectively into corrupt and unjust social structures that coalesce in the "Kingdom of Evil" -- a coalition of forces so powerful that only the power of self-giving love, which the Gospels name as the "Kingdom of God" can withstand, defeat and transform it. These visions of social sin and salvation will reemerge, chastened and baptized by revolutionary fire, in Reinhold Niebuhr's classic Moral Man and Immoral Society and they will echo throughout progressive movements in theological ethics up until our own day. I'm not sure how well Rauschenbusch understood the potentially radical implications of the ideas he unleashed here, but it certainly seems to me that his work is worth a second look. This post ends my series on Rauschenbusch. Thanks for reading. Parker, Kelly A., "Josiah Royce", The Stanford Encyclopedia of Philosophy (Summer 2014 Edition), Edward N. Zalta (ed. ), URL = . TRAVIS, PLEASE LINK. Rauschenbusch, Walter, A Theology for the Social Gospel (Nashville, TN: Abingdon, 1917). -----, Christianity and the Social Crisis (New York: Macmillan, 1907).